Managing all aspects of your project for maximum consistency. We fast-track each construction project while maintaining high-quality workmanship. Our team will work to meet your timeline and budget while rebuilding your business using best practices and a strong focus on job site safety. 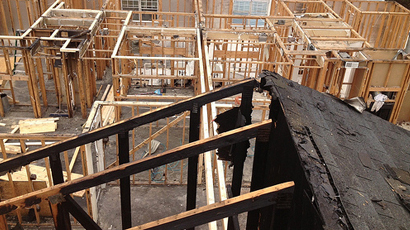 Venture’s Property Damage Consulting provides a complete spectrum of pre- and postloss restoration and construction consulting services. For Venture’s Disaster Recovery Division, click here. Water intrusion inspection, repair, and prevention. Grading, compaction, paving, and any and all site work. At Venture Management + Reconstruction Inc., our goal is to build strong client relationships through quality work, integrity and Customer Service. With our experienced staff we have the ability to ensure your construction project not only meets, but exceeds your expectations. Venture is a fully- licensed, insured, full-service General Contracting Firm. We expertly provide a complete array of services from the building of new structures, including site preparation, as well as additions and modifications to existing ones and any of your multi-family, hospitality, health care and commercial needs. As a company that focuses on keeping most of its work in-house we have the power to control the items that other general contractors are unable to, such as quality, pricing and deadlines. Whether you are working with a limited budget project or a complete renovation, we have the resources to meet all requests.